We are delighted to present the solo exhibition "Bad Swimmer" by Adrian Falkner at our gallery in Hamburg. 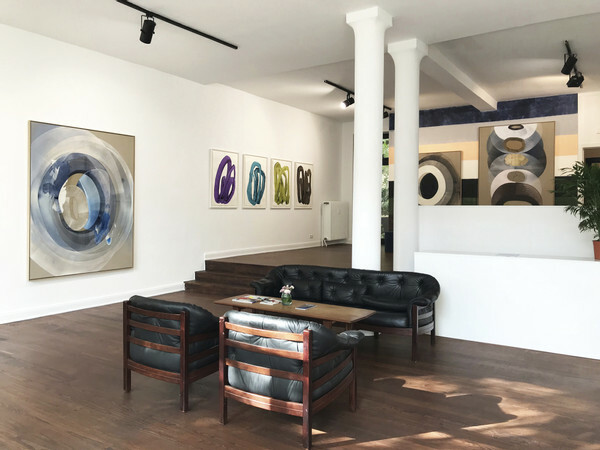 The exhibition is comprised of new paintings and works on paper, that nod towards the artist's interest in Eastern philosophies and their related aesthetic ideas around notions of eternity, incompleteness and imperfection. For the preview night we invited Prof. Dr. Roland Buser to speak about eternity. The professor, former Nasa scientific adviser and co-creator of the Hubble telescope gave his energy to reveal spirits behind Adrian Falkner's work, creating a great start into the new exhibition. The New York Times (2018): G.M. Used Graffiti in a Car Ad. Should the Artist Be Paid?